Calling all Mickey Mouse fans! Ok, that's pretty much everyone, right? We're big Mickey fans over here. You may even remember that Lola had a Mickey Mouse themed birthday party a few years back. Well, it was her 2nd birthday so it was more than a few years ago. It feels like yesterday though! 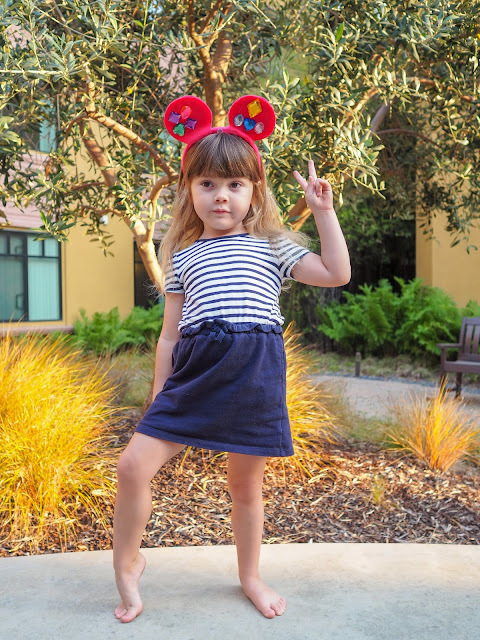 Way back then I made felt Mickey Mouse ears for all of Lola's party guests and they really were such a fun addition to her special day. Plus they made a great thank you gift for her friends to take home. 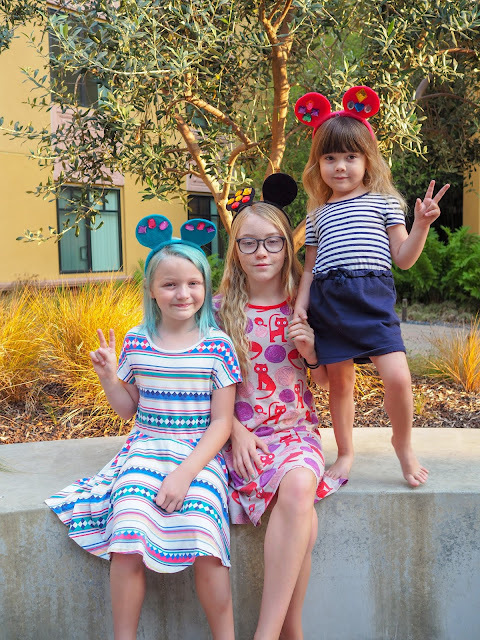 We've gotten years of dress up fun out of the Mickey Mouse party ears that I kept from Lola's party, so when I heard of the "Share Your Ears" movement which raises money for Make-A-Wish Foundation I knew I needed to share the Mickey ear fun again - with a fun update! 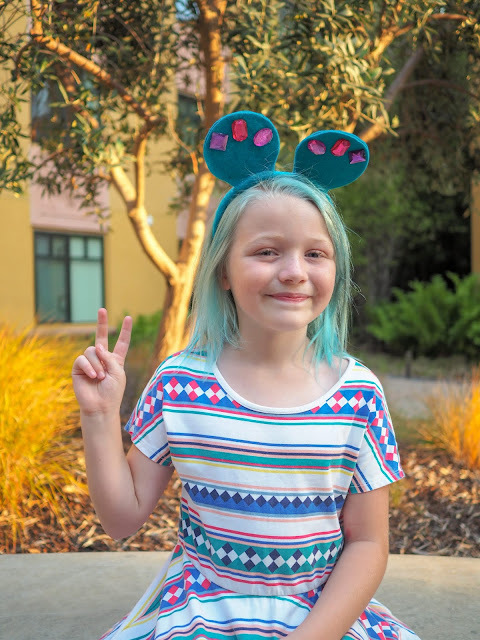 Have you heard about the Make-A-Wish "Share Your Ears" movement? 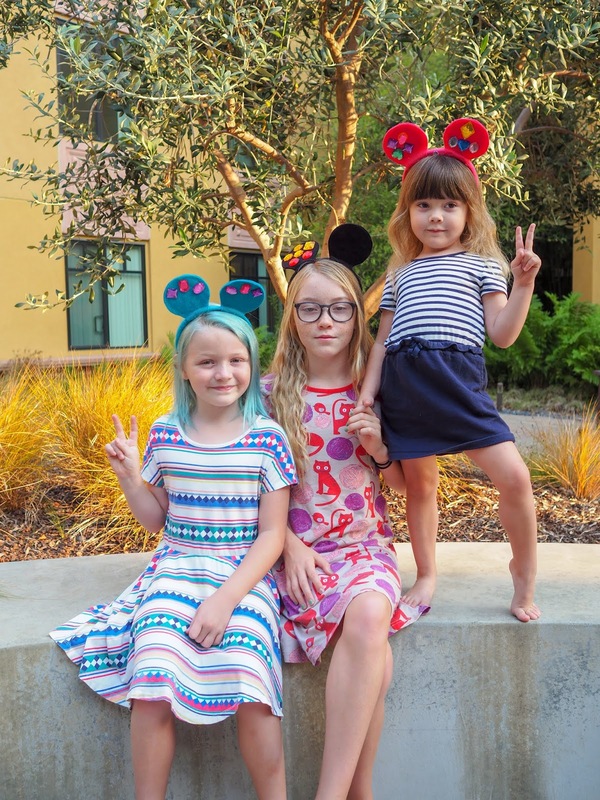 In honor of the 130,000th Disney wish granted globally (that's a lot of wishes!) and Mickey Mouse's 90th anniversary, Disney is inviting fans to help make even more wishes come true for children with critical illnesses. Just how can you help? It couldn't be easier! Simply snap a pic showing off your Mickey Mouse ears (or any other fun ears) and share it on Facebook, Instagram or Twitter with the tag #ShareYourEars. For each public post shared from November 18th to November 27th 2018, Disney will donate US$5 to Make-A-Wish®, up to US$1 million. 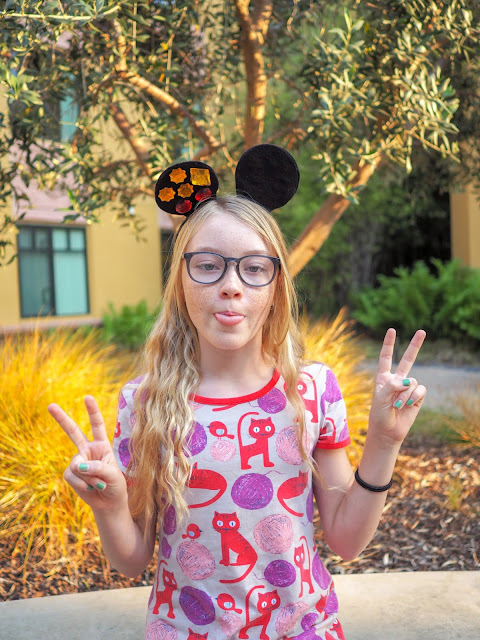 Got a pair of Mickey Mouse ears? Great! Get snapping and sharing those pics! Haven't got a pair of Mickey Mouse ears? No problem! 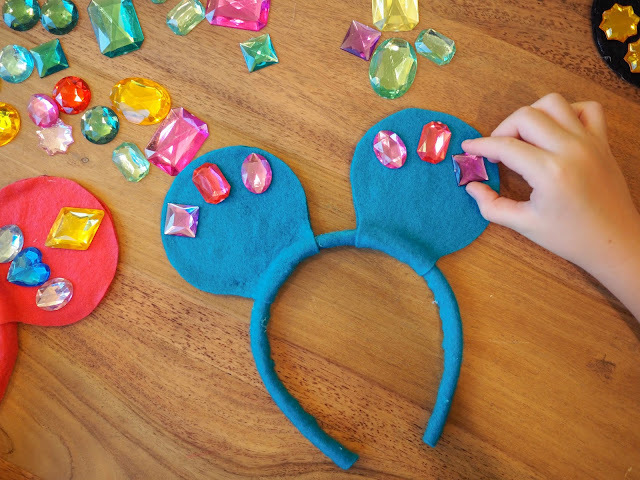 Just follow the simple DIY below and you'll have your very own fun Mickey Mouse ears in no time. 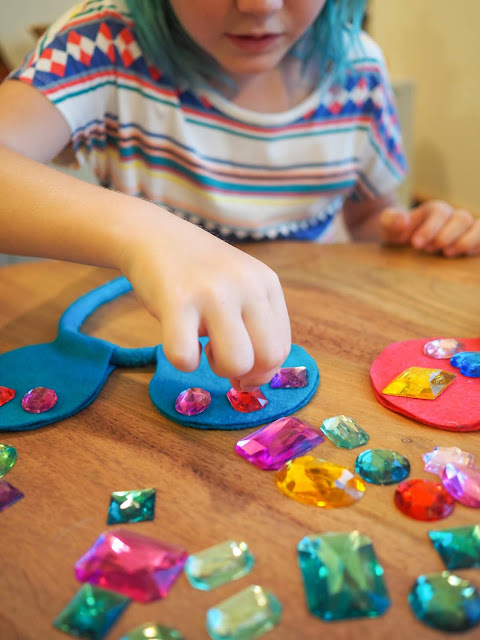 Print out the Mickey Mouse ear template onto card stock, cut it out and trace around it on felt using either a marker or fabric pencil. 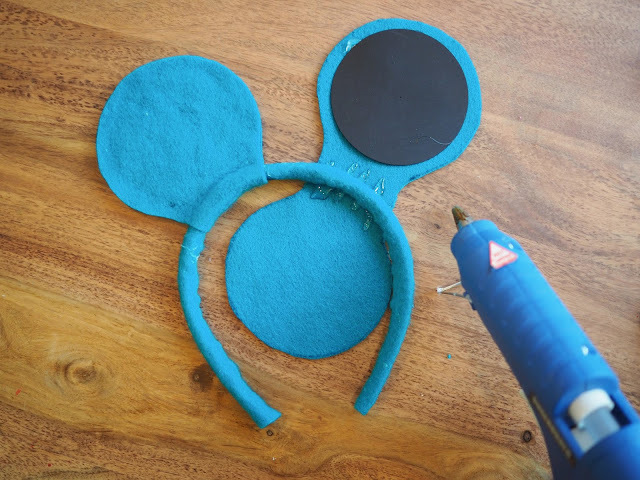 If you're making black Mickey Mouse ears, a white fabric pencil will work best. As the felt can be a little floppy I like to add some card stock to the middle of each ear to help them stand up. 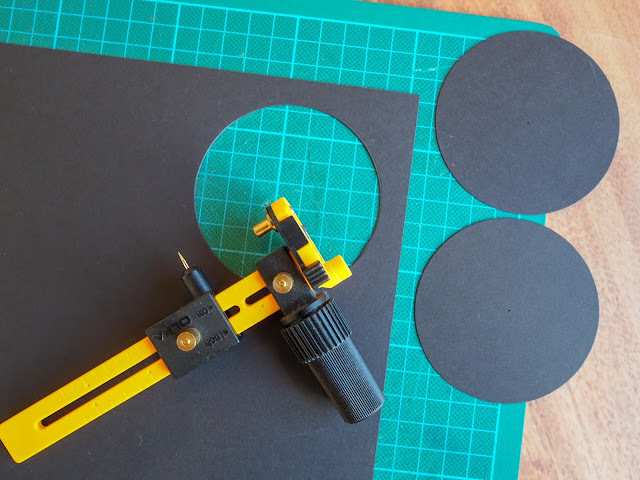 To do this, cut out circles of card stock a little smaller than each ear. 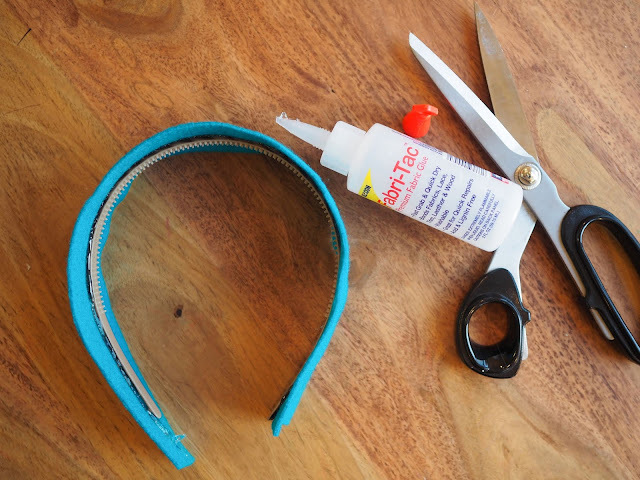 Depending on the width of the headband you're using, you may like to cover it with felt first. Our headbands were quite narrow so covering them with a layer of felt helped make the ears stand a little better. You can always skip this step if you like. I used fabric glue to attach the felt to the headbands. 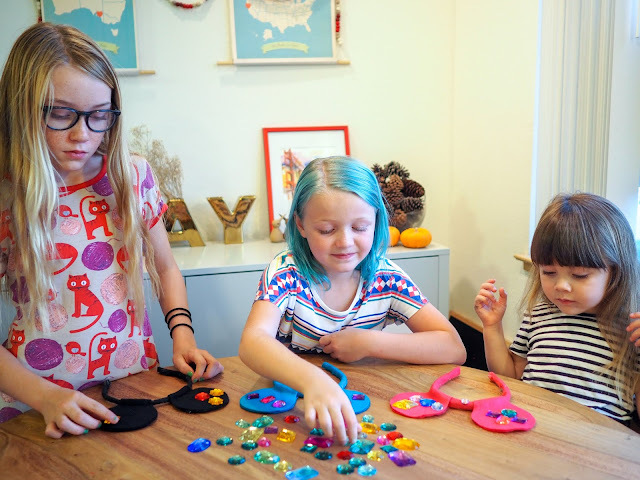 You could also use a hot glue gun if you prefer - but I kept burning my fingers! 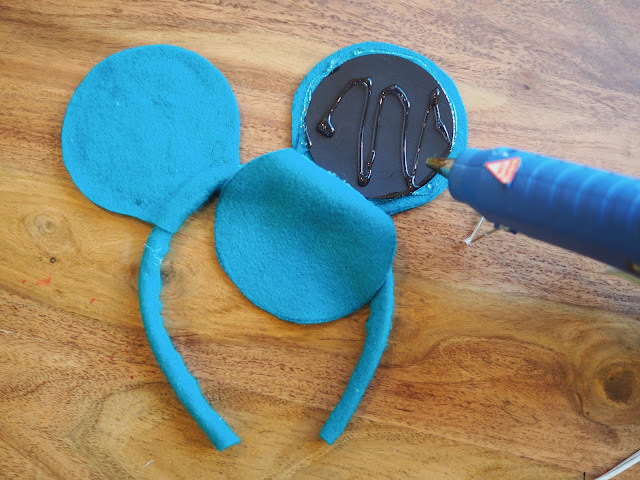 Using either fabric glue or a hot glue gun, glue a card circle to one side of each ear. Then line up the center of each ear where you would like them to be on the headband and glue down. Cover one side of each ear with glue and fold the non-glued side over and press it down. Now for the extra fun part! Let's decorate those ears! 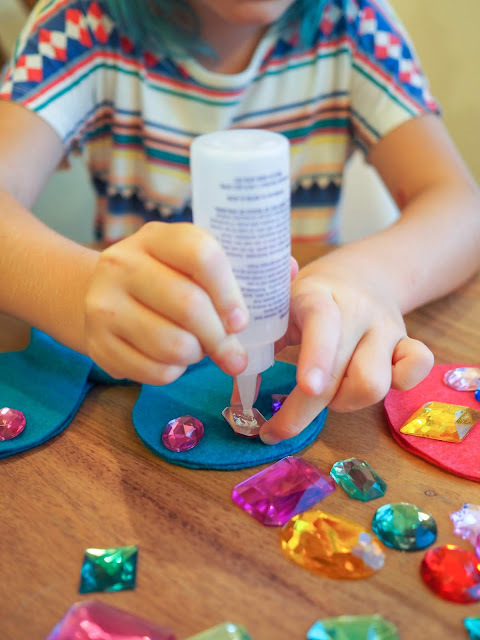 We used flat backed craft gems to decorate our ears, but you could use anything you like. Feathers would be fun. Get creative! 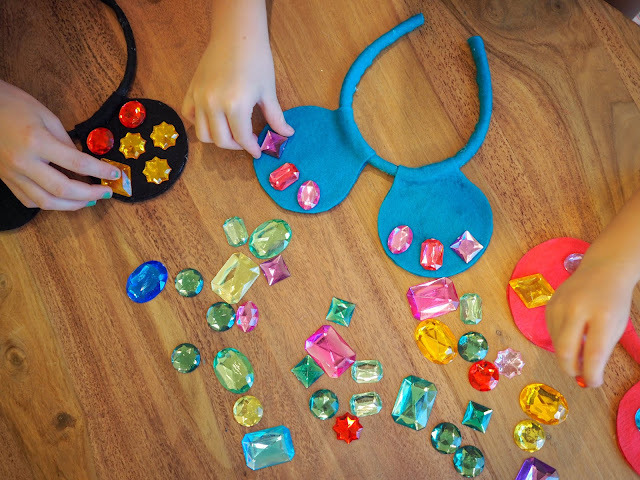 Lola made a matching pattern on both of her ears, while Mathilde mixed things up and also added gems to the headband. Ava went for just one decorated ear and left the other one plain, which I quite like. 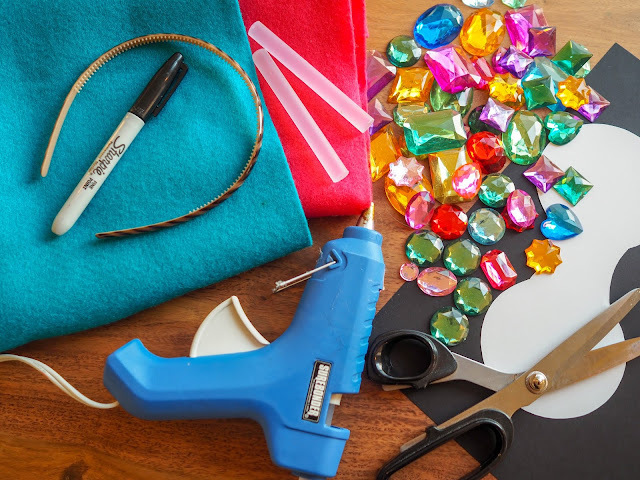 Use fabric glue or a hot glue gun to glue your decorations in place. Voila! 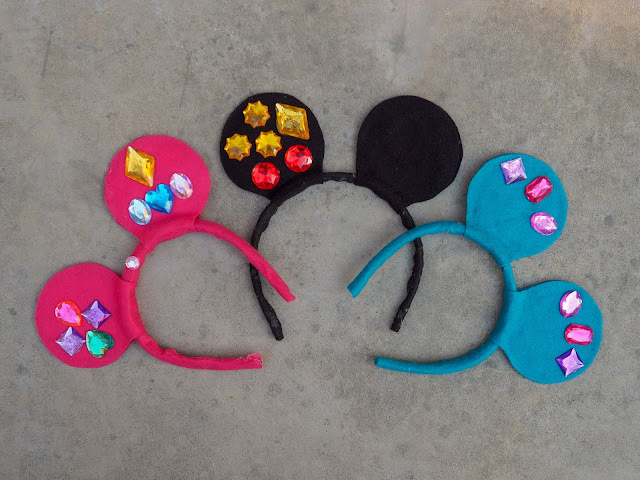 Fancy Mickey Mouse ears ready to share with the world! Don't forget to share your ears on social media tagged #ShareYourEars to help make a difference. Make sure your post is set to public to be counted. 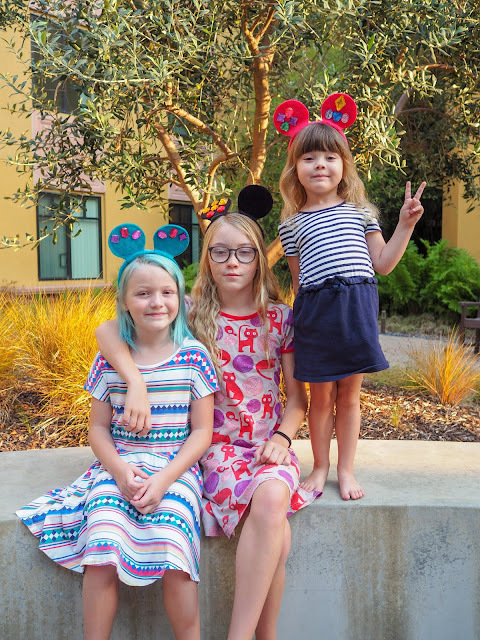 To find out more about the Share Your Ears campaign and the great work that Make-A-Wish Foundation does to support families of critically ill children click here. I can't wait to see your ears!